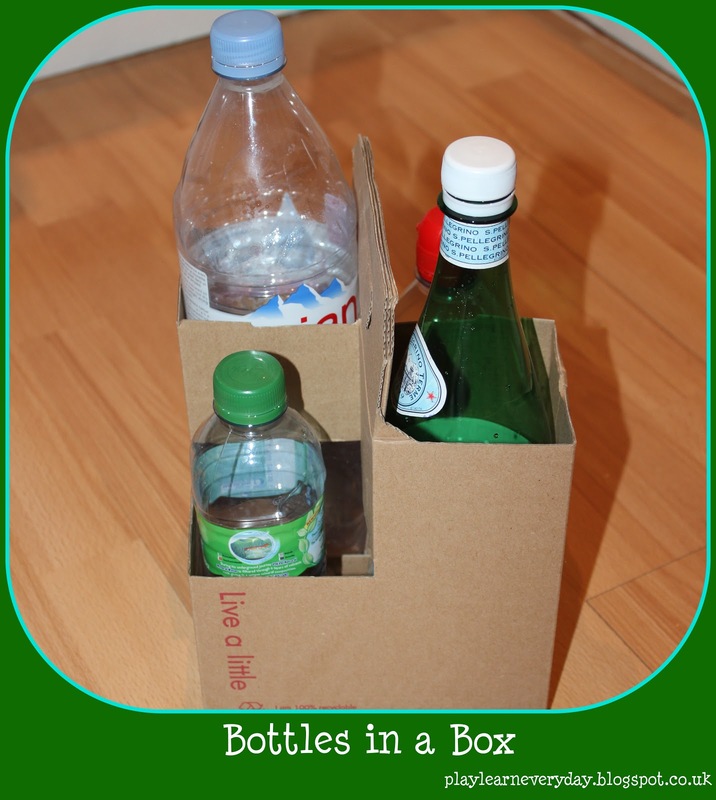 Today we played with water bottles in a wine box! It was another one of those strange activities with found objects that Ethan absolutely loves. We've always got lots of water bottles around and we happened to have a wine bottle box from our last grocery order, so I filled it with different water bottles and let Ethan explore. Ethan enjoyed taking the bottles out of the box and putting them back in. Some of the bottles fit more tightly so it was a bit of a challenge for him. Another great activity for his Physical Development, and perfect for him right now and he's definitely going through a stage where he likes putting things in different containers.